This article is an excerpt from GovLoop’s recent guide, “5 Cloud Trends to Watch in Government.” Download the full guide here. A better way to acquire IT that more closely matches the speed of innovation has long been a priority for agency CIOs. The government has responded with ways to accelerate procurement. For example, it added cloud to GSA’s Schedule 70 and implemented FedRAMP, which lets agencies evaluate cloud vendor capabilities and security features more efficiently. Because such reviews are part of the acquisition process, FedRAMP helps the procurement move along. The program now covers 5 million assets of the world’s largest cloud providers and offers four security baselines, ranging from low-impact Software-as-a-Service to high-impact systems that agencies heavily depend on to get work done. State and local governments are also innovating, using techniques such as brokered services and chargeback models. Brokered services means either an IT agency acts as a middleman for cloud vendors and other users, or a third party serves that role, handling cloud choices. Either way, the go-between gets a cut of the revenues. Chargeback models apply the cost of cloud to the business unit that uses it, rather than a central IT shop handling all costs as overhead. DoD’s Defense Innovation UnitExperimental (DIUx) took the lead on a contract to Virginia-based REAN Cloud for streamlined cloud migration services by using an “other transaction agreement” contract. These legally binding agreements are not standard procurement contracts, grants or cooperative agreements, and so they are not subject to the federal laws and regulations, such as the Federal Acquisition Regulation, that apply to typical procurement contracts, according to a military document. The benefits of using such an agreement include “greater speed, flexibility, and accessibility in performing research and prototyping activities. It can also be used to design and implement innovative business models within the government that would otherwise not be feasible,” the document states. DIUx originally issued the agreement in February with a value of $950 million, but a month later, the unit capped it at $65 million after the Pentagon said the agreement exceeded its original scope of providing a prototype by moving it to production for use departmentwide. Still, the contract serves as a model for how agencies can speed cloud acquisitions by working with industry to implement innovative technology and processes. Separately, DoD released in February draft requirements for another cloud contract worth up to $10 billion that will provide the department with commercial cloud infrastructure and platform services. Controversy has surrounded the contract because many feel only Amazon Web Services can meet its requirements. Before the Indiana Office of Technology (IOT) took ownership of IN.gov in 2006, a contractor ran the state’s website on a business model that was heavily transaction-based. During the past 10 years, however, IOT has moved to a brokered services model. Now, the office collects fees from other state agencies for services that IOT provides. IOT itself has a $132 million annual budget and operates on a chargeback model in which it aims to recover exactly what it spends. Costs include personnel, hardware, software licensing and support. To set costs, the office evaluates consumption from previous years and what is currently trending, and divides that figure by the number of people who will use the technology, said Indiana CIO Dewand Neely at the meeting. He works with the budget office to offset any net losses, and when there’s excess of revenue, it goes back as a rebate to the agency or to the general fund. Neely relies on feedback to know when IOT is good at providing a particular service and when it’s not. That way, the office can either improve it or broker a deal with another vendor. The Cloud Center of Excellence has put together a draft Cloud Acquisition Professionals Cloud Adoption Survival Tips, Lessons and Experiences guide that lays out common challenging acquisition scenarios and ways to address them. 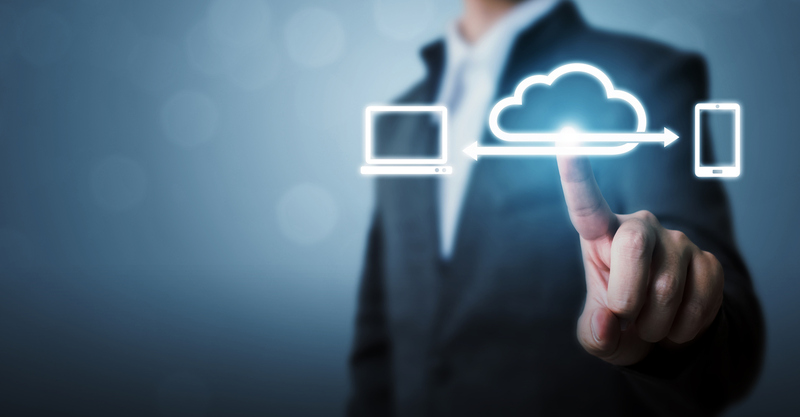 Attend a virtual or in-person workshop of GSA’s Cloud Access for Federal Enterprise, an initiative to simplify cloud acquisition in government. In May, CAFE will host a virtual event on how to buy cloud Infrastructure-as-a-Service, for example.